A Turkish drone has successfully completed firing tests of UMTAS anti-tank missile. 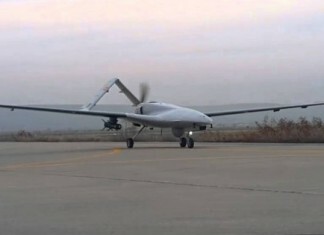 On the recent test the Bayraktar TB2 drone carried two missiles at a total weight of 75 kg. One missile was dropped from an altitude of 16,000 ft. to hit a 2x2 meter laser-designated target self designated from the drone, from a distance of 8,000 meters.